In recent years, marketers have paid lots of attention to a new field called social CRM, created from the combination of social media and traditional customer relationship management (CRM) practices. In the past, traditional CRM practices have mainly focused on the task of valuing individual customers' profitability through relationship management over time as the proxy of creating the firm's value. Shifting away from this trend, firms have recently attempted to promote customer engagement into the value creation process as the core of CRM strategy. 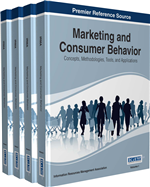 This chapter proposes conceptual guidelines for the success of social CRM practices, while considering the development of personalized customer engagement programs with social media depending on customer status over the life cycle. During the past two decades, the task of creating and managing long-term profitable relationships with target customers has been a top priority for firms. To achieve this goal, the firms have paid attention to customer relationship management (CRM) strategy and its practices. Simply speaking, CRM is a business strategy to acquire and manage customers for the benefits of both customers and firms in a co-profitable fashion through maintaining relationships over time (Winer, 2001). To make this CRM strategy a reality, marketing practitioners have developed various types of operational tactics‑for instance, collecting customer information about purchasing patterns with the aid of Information Technology (IT)‑and have attempted to transform the customer relationships into greater profitability by increasing the repeat purchase rates of target customers and reducing customer acquisition costs, among other tactics. To diagnose the effectiveness of current CRM practices, firms in recent years have used one popular metric called customer lifetime value (CLV), which indicates how much one customer is worth to the firm at a specific point in time (Kumar & Rajan, 2009). However, the true meaning of CRM has yet been met since firms have used CRM as an operational tool in order to maximize company profitability by taking advantage of the collected information about customers’ purchasing behaviors. As current literature in CRM indicates, most practitioners in the CRM industry have focused on what firms should do to attract and retain target customers in order to maximize CLV as the proxy of the firm’s profitability. However, firms do not have a clear understanding of how customers react to the firms’ CRM efforts, how customers create their engagement into the relationship-building process, and how customer contributions can be transformed into the entire value for the firm. In fact, what the traditional CRM practitioners should consider is one most important fact‑i.e., CRM is about the well-being of customers as human beings, even though technology and process are required. Stated differently, CRM practitioners need to create strategies which are designed to align the process of gathering information about the behavioral aspects of target customers with the creation of self-motivated engagement of target customers during the process of attracting, keeping, and growing long-term relationships with target customers. To resolve the issue of customer engagement in the CRM process, CRM practitioners have changed their attention to social media as a future promising opportunity driven by recent impressive statistics. As of March 2013, Facebook reached 655 million daily active users on average with 79% of active users residing outside the United States and Canada (see up-to-date statistics at http://www.forbes.com/sites/louiscolumbus/2012/10/02/gartners-magic-quadrant-for-social-crm-and-the-social-enterprise/).